I’ve been working on my WordPress plugin, RatingWidget, for a while. It was clear to me from the beginning that the number of reviews and average rating were playing a crucial part in the success of the plugin. Having said that, it took me over four years to figure out the right formula to get more 5-star positive reviews. At the early stages of the plugin, my strategy for positive reviews was providing extraordinary support. I decided that I would do my best to help every user of the plugin for free. Most users in the WordPress ecosystem don’t expect that, which yielded a decent amount of positive 5-star reviews. 5-star review: when it’s a phenomenal product that provided outstanding value for me. 1-star review: I usually don’t bother to do it at all, but if a product breaks something, or does something extremely negative, I might unleash my anger with a negative review. If a friend I trust needs help spreading the word about a good product. As a result of handling complex tickets, a closer relationship develops with the users and they gain trust. Thus, after a few months, I decided to reshape my strategy and be a little more aggressive. Instead of just expecting the users to review the plugin after an exceptional support ticket, I started to ask the users for a favor back–as if I’m their trusted friend. I was concerned about it first, but it was a great move. Users were excited to help us back and many have written amazing reviews–mainly related to our high quality of support. It increased our review generation to 1-2 reviews per week. We still use this approach today which generates our best reviews. As simple this message was – I was amazed! Why didn’t I think about it before? It’s so obvious, and all modern mobile apps are doing that. Conceptually, mobile apps and plugins are very similar ecosystems. Asking for a review right from the app is part of the fundamentals of mobile app marketing, especially when there’s a marketplace involved. The more time a plugin is used and active on a site; it makes sense that the user gets some benefit from the plugin. Thus we decided that time would be a great trigger to test. We tested three time-spans, by asking the user to review our plugin after a week, after a month and another one after three months. Our plugin is a 5-star rating widget, and the main value it provides to our users is engagement with readers. This value can be easily quantified by number of votes the blog owner’s posts has received. As more votes are received by the site, the plugin becomes more valuable for the site owner. Therefore, we tested triggering the “review our plugin” notification when the number of votes on the site crossed some limit. In the case of Mashshare, the value base trigger could be the number of socially shared posts. In every plugin the value proposition is different, so you, the plugin developer, have to figure out how to quantify your plugin’s main benefits into numbers. We could test both of the approaches in less than a month, since we had many users that been using the plugin for various periods, with various amount of votes. Once we added the “review our plugin” notification, we immediately started to receive more reviews. Not surprisingly, the value based trigger performed way better. And it makes a lot of sense! When someone uses your plugin, it doesn’t necessary means that they are happy with it just because it’s installed. On the other hand, the users that are getting value from your plugin, (and you can show them how much it is valuable for them)– are way better candidates to vouch for you. For example, in our case, if a high traffic site installs RatingWidget, it can gain thousands of visitors’ votes in just a few days. Showing a message that says “Wow – you just received your 10,000 vote!” is hundred times better than “Wow – you are using our plugin for 3 days!”. 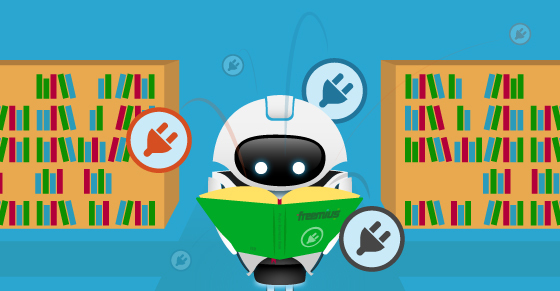 Hi, you just crossed the X votes on RatingWidget – that’s awesome! 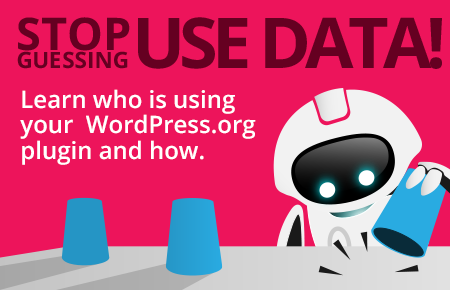 If you have a moment, please help us spread the word by reviewing the plugin on WordPress. Hey, I noticed you just crossed the X votes on RatingWidget – that’s awesome! Could you please do me a BIG favor and give it a 5-star rating on WordPress? Just to help us spread the word and boost our motivation. Even though the first message looks more professional, the second friendly and personal version performed a little better. But, the differences were not big. After adding “ask for plugin review” notification in the admin dashboard, and optimizing with A/B testing for six weeks, we managed to increase our monthly reviews by 700%. From 4-8 monthly reviews to 56 reviews per month, and most of them are 5-star reviews! If you have a good plugin and you are still not asking for reviews – I encourage you to start testing it ASAP. 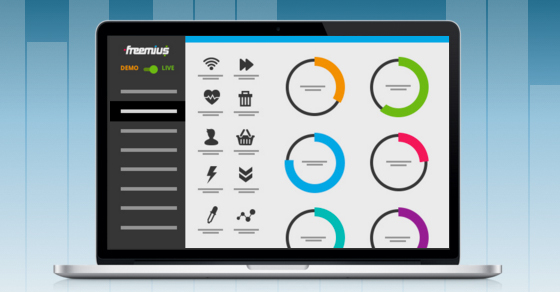 Freemius Insights for WordPress Themes – Officially Released! Very interesting! Something we did recently was send an email to a segment of our subscribers asking them if they would consider leaving a review of the plugin if they were happy with it. We only sent it to around 450 subscribers on our list as we wanted to test the water with this technique but it worked out pretty well with us getting around 20 5 star reviews and 1 4 star review within 24 hours of sending the campaign. So by doing that we got as many reviews in 1 day than we had in the past 5/6 weeks. Sounds like a great approach. I bet you can improve that a lot if you manage to figure out how to send this email based on a trigger related to the value you provide – “Congrats! You just got member #100 registered… please review our plugin…”. That’s a great idea. How did you measure the A/B test results? Straightforward – we counted the number of reviews we received during the lifetime of every test we made. Nice, and thank you for sharing that. I now have put a reminder (displayed after a week from first usage) asking users to rate 5 stars. I’m getting 1 or 2 ratings every day (all 5 stars!) :-\ Sometimes the simplest idea is the most winning! I have doubt, I want put trigger message on admin main dashboard or plugin page? Is adding a review prompt something you are looking to add to the Freemius platform soon, or should we implement it ourselves? Your other automation prompts and cart abandonment emails are awesome. Indeed, we have already added an automatic reviews mechanisms for our sellers. The mechanism triggers a special MAP email (Mail After Purchase) to your customers, 7-days after their purchase, asking them to review your plugin or theme. We used a technique that is commonly used among the most popular reviews services like Yotpo and Bazaarvoice, by embedding the review form right in the email. In addition to that, Freemius also automatically imports your greatest recent reviews from WordPress.org straight into the in-dashboard pricing page to get featured on the reviews carousel. Awesome article. I think making reviews rain – most importantpart for 5 stars reviews. Asking for a review is a very popular method. Asking for the stuff work pretty good, I remember once Google started asking people to make their search engine their home page and it worked really great for them.